Every year we designate a December and January visit to Disneyland for both of our boys’ birthdays. On these particular visits, they get to pick out what rides we hit and get any treats they want…wait, they do that every visit?! HA! My youngest turned 7 this year so we visited the park in late January to celebrate his day. On our way to the park, I like to tweet @disneylandtoday for a fun little birthday shout out that makes my kids’ day. 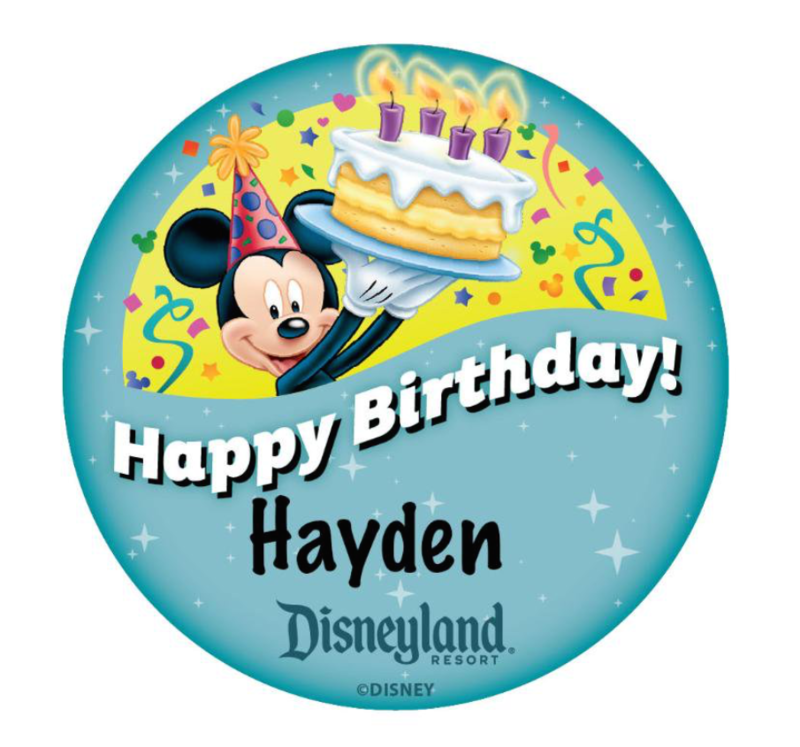 Happy Birthday tweet from @disneylandtoday for my birthday boy! Hayden is one of the pickiest kids you may ever meet. The only treats he wants from Disneyland are Mickey shaped soft pretzels, Mickey cake pops, hot dogs and macaroni & cheese, all depending on his mood. This particular visit he wanted a Mickey pretzel as soon as we got to the park. 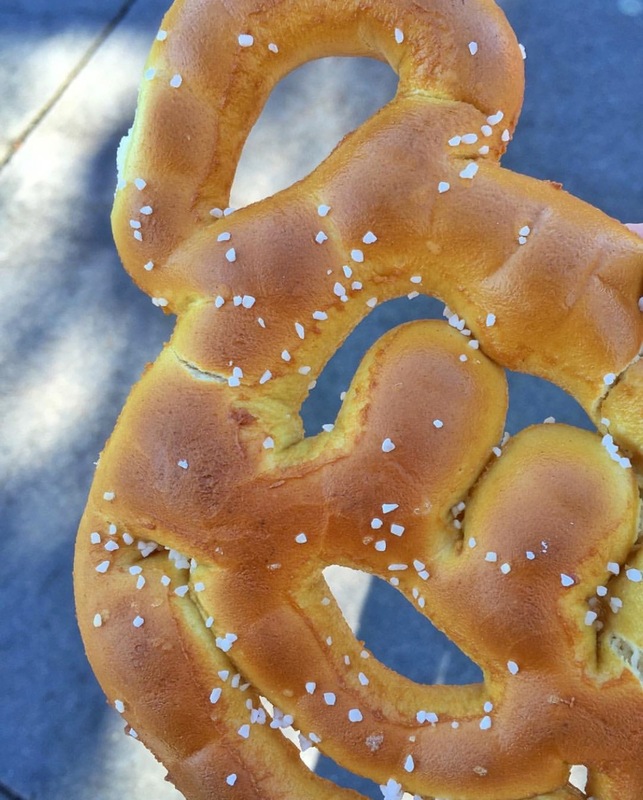 Mickey pretzels can be found at Pretzel Carts located all throughout the park. They also sell a side of nacho cheese at an additional cost or cream-cheese filled pretzels. Even though our birthday boy is not a fan of ice cream, the rest of us wanted to stop in at Gibson Girl Ice Cream Parlor on Main Street for a couple scoops of ice cream. 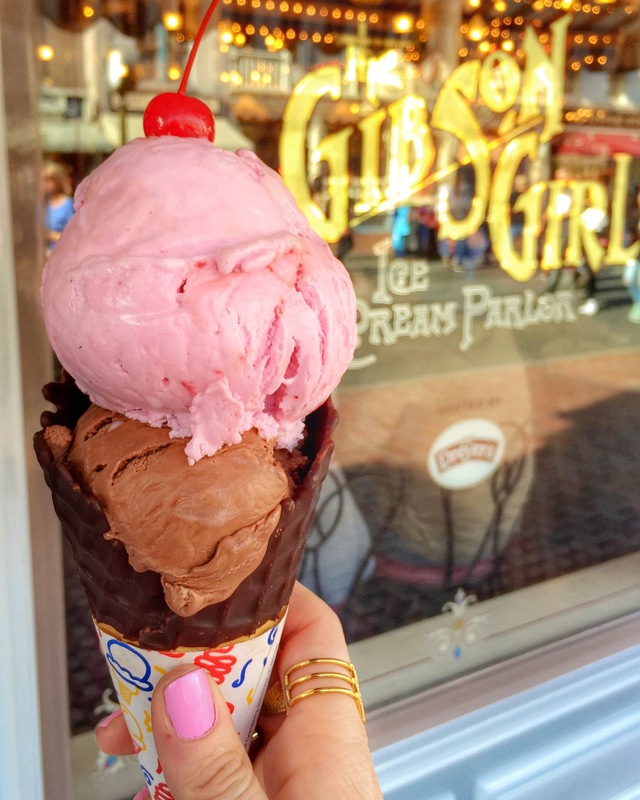 Gibson Girl is an old-fashioned ice cream parlor serving up Dreyer’s ice cream. You can order sundaes in waffle cups and cookies, ice cream floats and hand-scooped cups and cones. 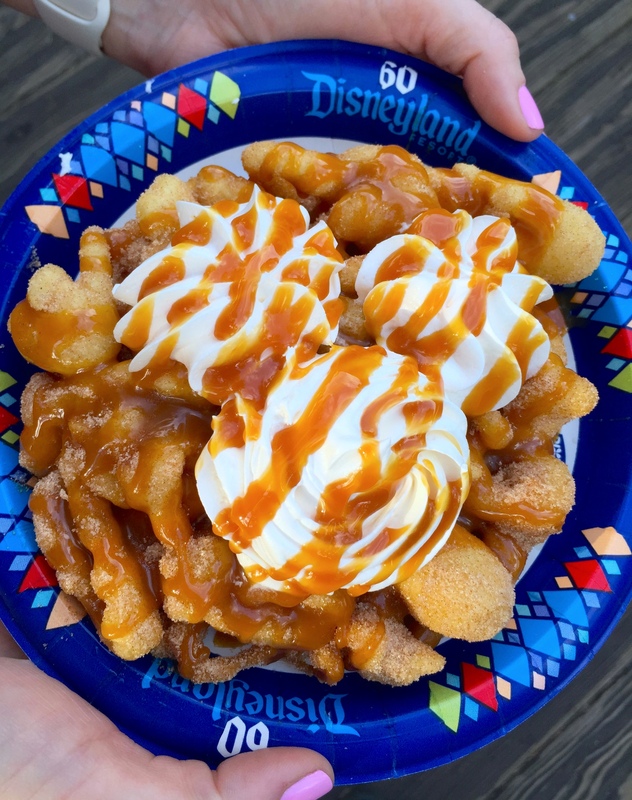 But the treat I was most looking forward to was the Churro Funnel Cake from Hungry Bear Restaurant. I loved everything about this hybrid treat that is only available for a limited time! The funnel cakes are fried to order so you have to (patiently) wait a couple minutes, NBD. Once out of the fryer the cake is dipped in cinnamon sugar, drizzled with caramel sauce and covered in whipped cream. It is decadent, but worth it. 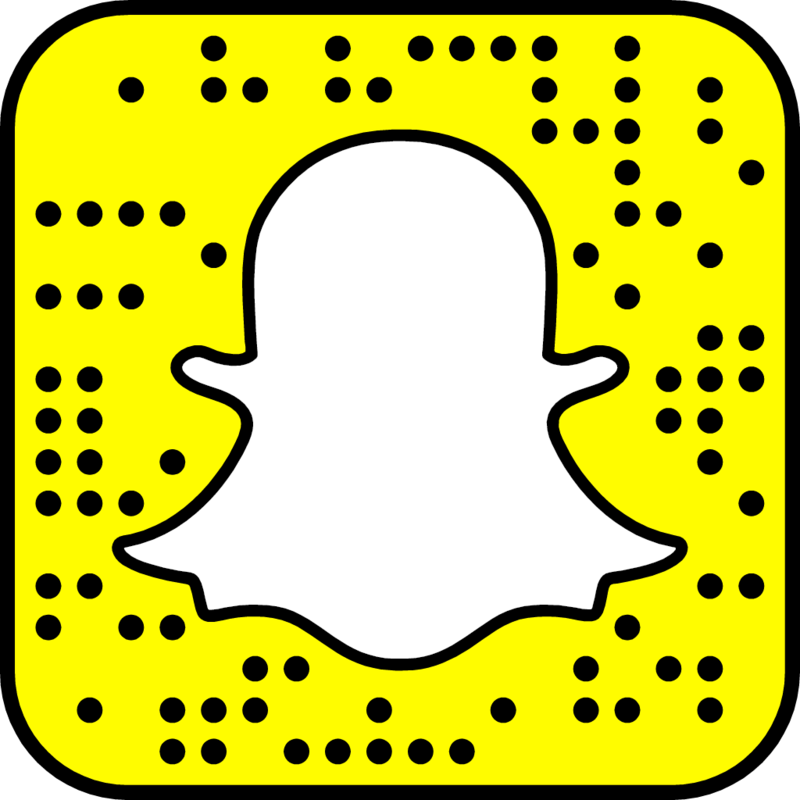 Plus, there is plenty to share. I would say this was a delicious day at Disneyland and my baby had a very happy birthday!